Food For Joy! 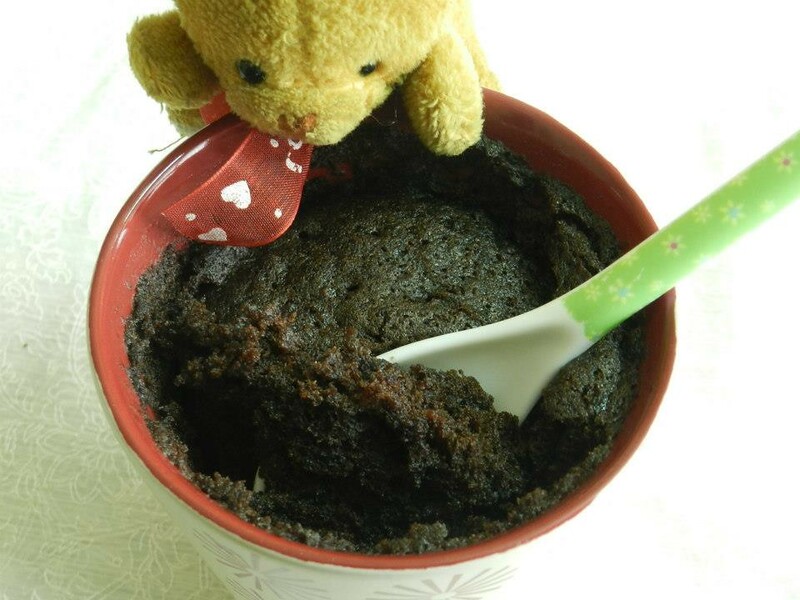 Eggless and Microwaved, 5 Minute, Coffee-Mug Chocolate Cake (Vegetarian Chocolate Cake) - Food For Joy! This is my first post under the Baking section of FFJ. Lately, my baking experiments have turned out to be very favorable to me. Along with food photography, my groundwork on mixing and baking ingredients and doing the math on the ratios of flour, liquid and sugar are paying off. If you want to gift someone something unique, I strongly feel this version of a vegetarian-single-serve chocolate cake, decorated with chocolate shards/chips/nuts can impress your loved ones. My favorite way of indulging into this cake with hot chocolate syrup. You can try it with a scoop of ice-cream as well. 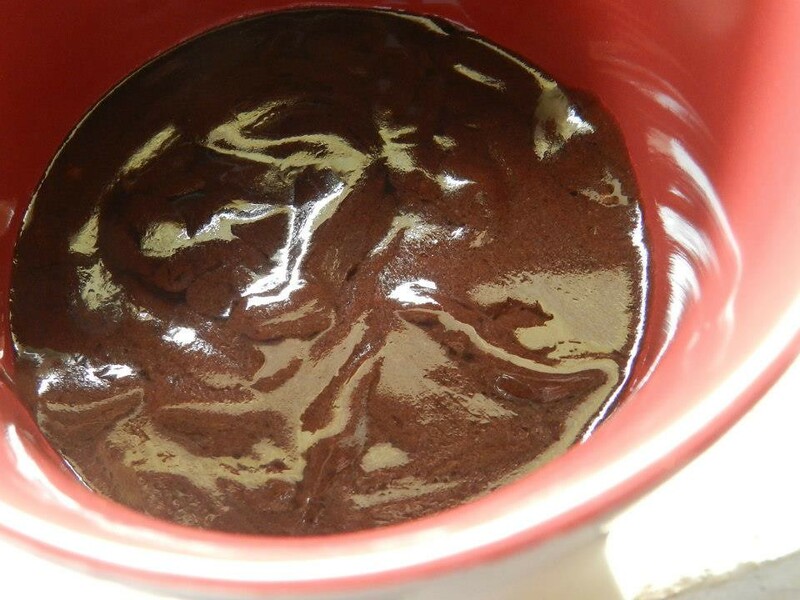 Eggless and Microwaved, 5 Minute, Coffee-Mug Chocolate Cake is a single-serve vegetarian chocolate cake made from the most basic ingredients of baking i.e. flour, sugar and milk. Note: Baking a cake is an art of mixing ingredients up to perfection. Do not try to change the proportions or steps given in any of the baking recipes. Follow every word and step, to a tee an you'll find yourself relishing a perfect piece of cake. 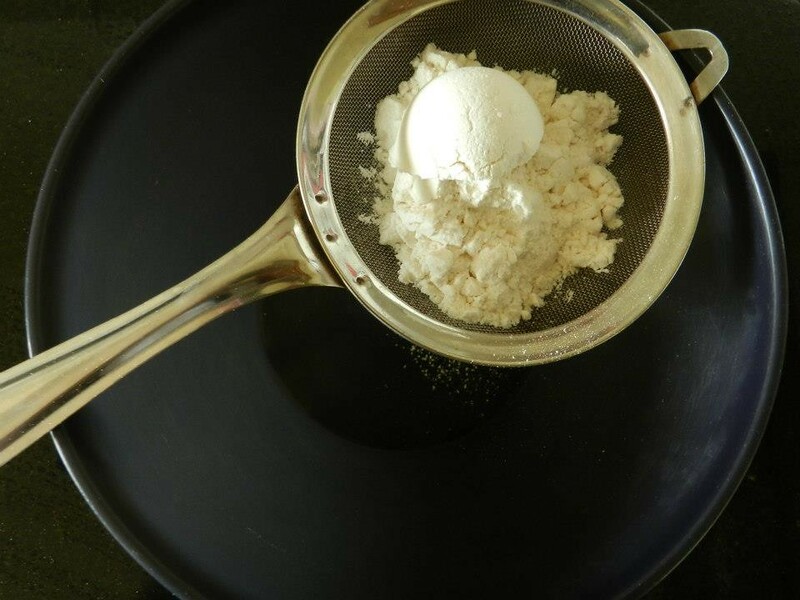 Step 1: In a mixing bowl, sieve the flour. Step2: Sieve the powdered sugar into the same bowl. 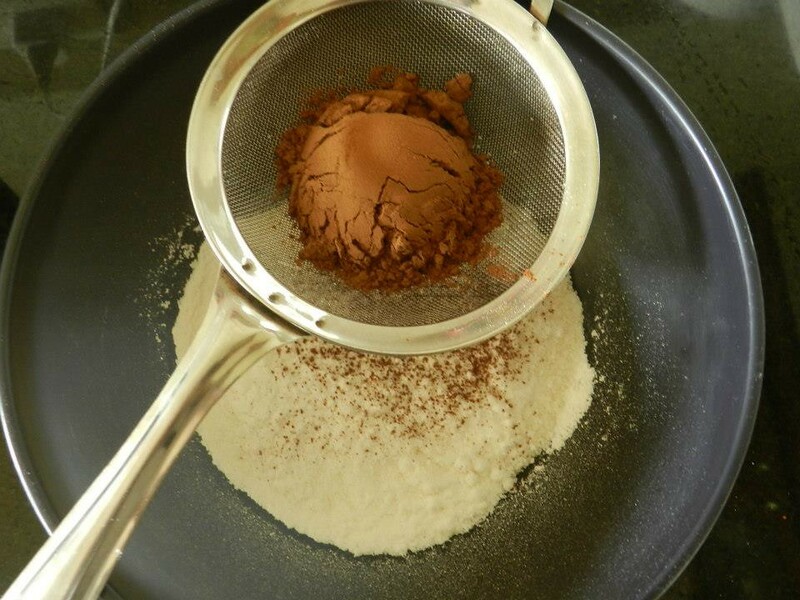 Step 3: Sieve the cocoa powder into the same bowl. 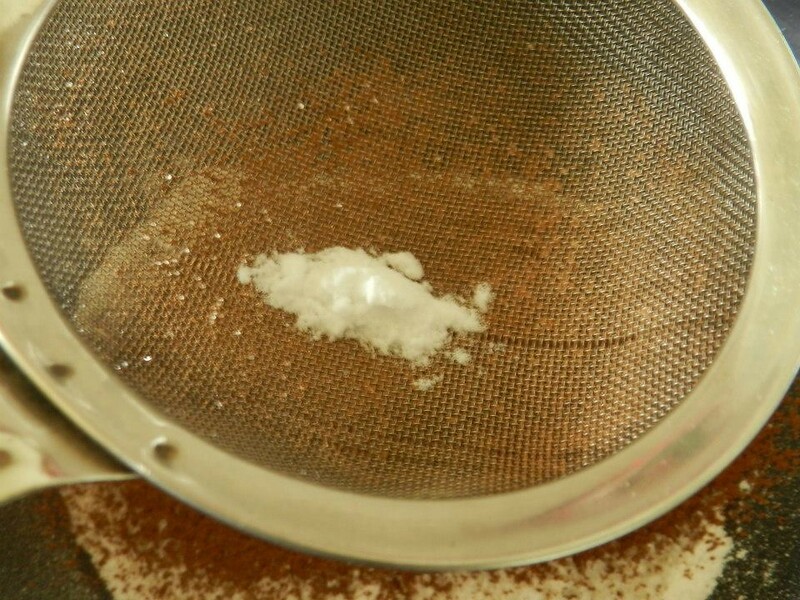 Step 4: Sieve the baking soda as well. Step 5: Add the salt and mix these dry ingredients so that they blend well. Step 6: Add the milk, oil and vanilla extract. Step 7: Mix well with a spoon in the same direction avoiding lumps. 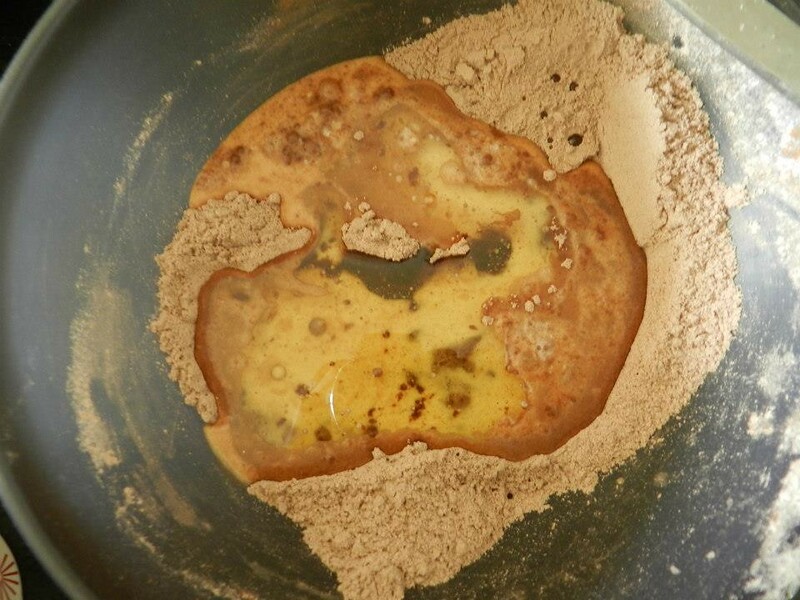 Pour this batter into a coffee mug. Step 8: Bake this in the microwave mode (Not the convection mode) on a Medium-High for 3 minutes or bake till a tooth pick pierced at the center of the cake comes out clean. 2. 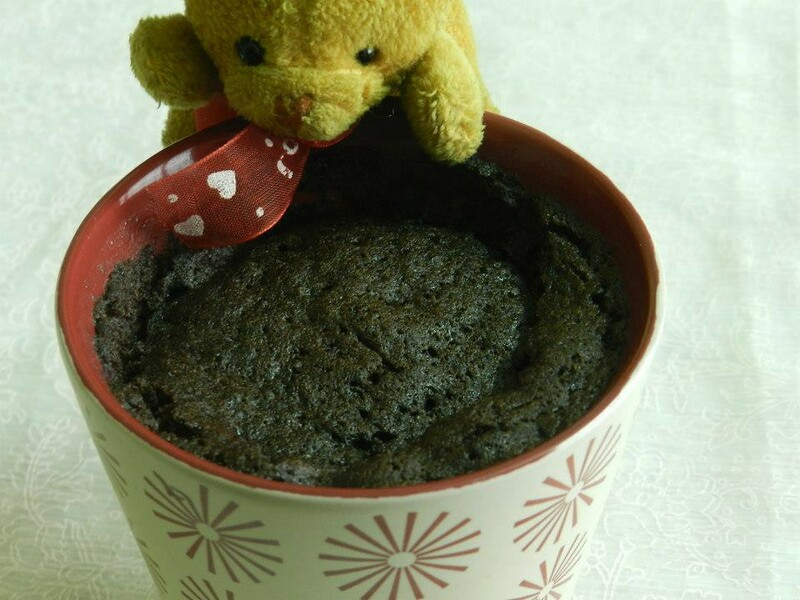 Please ensure that you use a microwave safe mug for this cake. 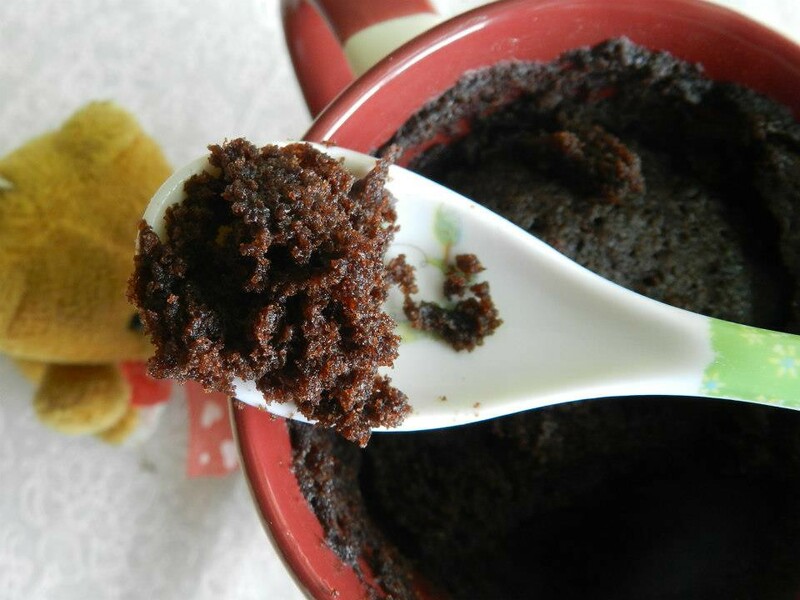 Hey pratiba,as a trail I tried this out just now before my son arrives on Sunday from mani pal this is the fastest,easiest made mug cake after adapting from Lawsons egg version good for u making it very easy for us. Thank you. Where can I get organic Cocoa powder. I am allergic to the preservatives used in regular ones. Hi Anu. I’m sorry for the late response to your query. I’m not sure of organic cocoa powder because I haven’t used one. You can try buying it online though. There are many brands that claim to sell organic cocoa powder but I’m not very sure what goes into the packaging. Hope you find a good buy. I’m a college student, currently without much money for the summer, and happen to be craving something sweet right now in my apartment. My kitchen houses the most rag-tag combination of ingredients being that I live with three other guys. 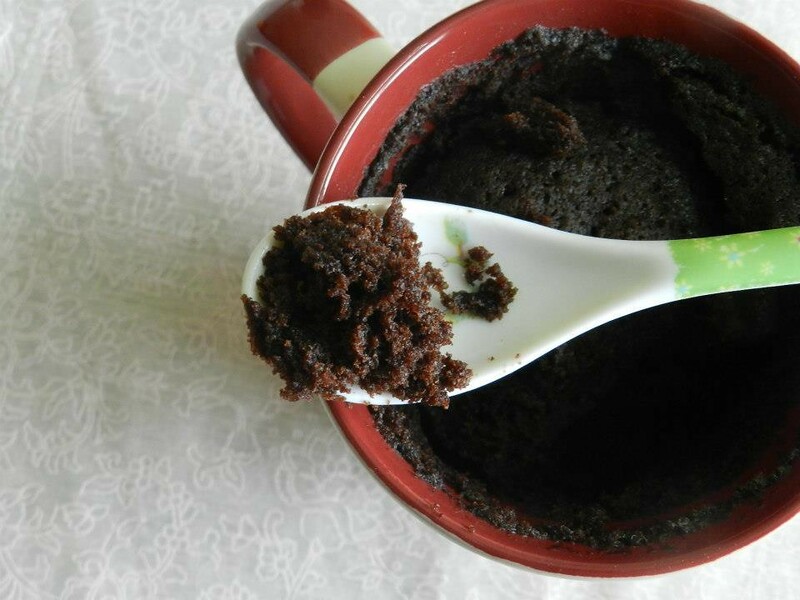 It just so happens that I had everything to make this particular mug cake, and I am in LOVE! It was delicious, and took almost no time to prepare. Now I stare at the bottom of my mug, littered with fluffy brown goodness, and pray to whomever controls the cosmos to keep me from making several more. This is wonderful. I loved the way you narrated your story :) Thank you so much. 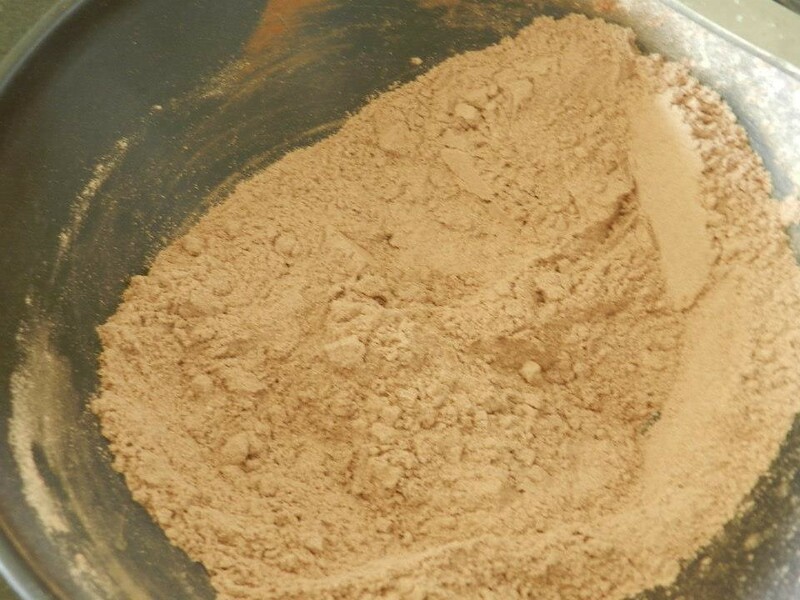 Where can i buy cocoa powder and which brand? and is baking soda the same soda which we put while making (for example) bonda bajji. Sorry if the question is too silly. Hi Aditi. No question is silly :) Happy that you asked this. 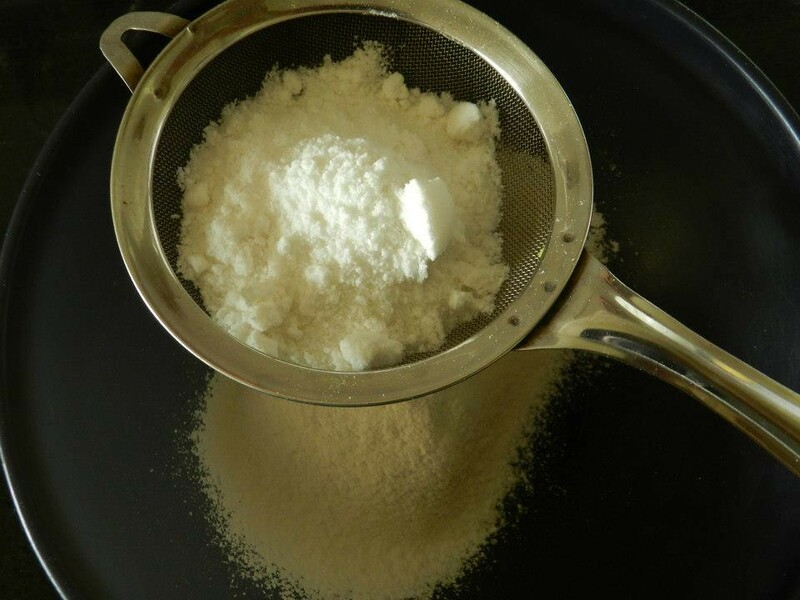 Baking powder is a combination of baking soda, cream of tartar and sodium aluminum sulfate. So you can see that baking soda is a part of baking powder. In baking cakes we can use baking powder or baking soda. In larger cakes both are used. Some people call ‘baking soda’ as ‘cooking soda’ also. wow, thats pretty easy and looks yum too. 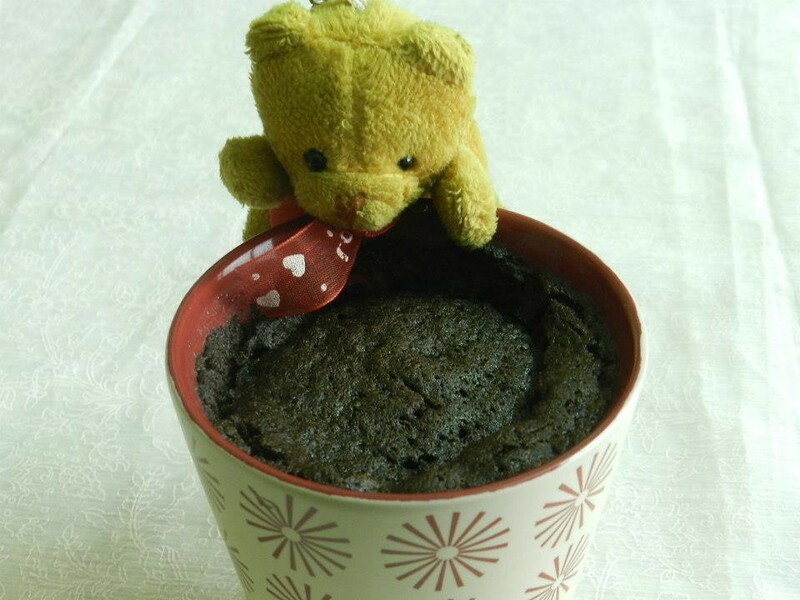 I wanted to make a mug cake. I’ll give this a try for sure. Thank you Swati. Sure :) Let me know when its done. All the best. I dont use oven at home. but wanted to try cakes in pressure cooker. i thoght you might have some idea for the perfect method and procedure to be followed. 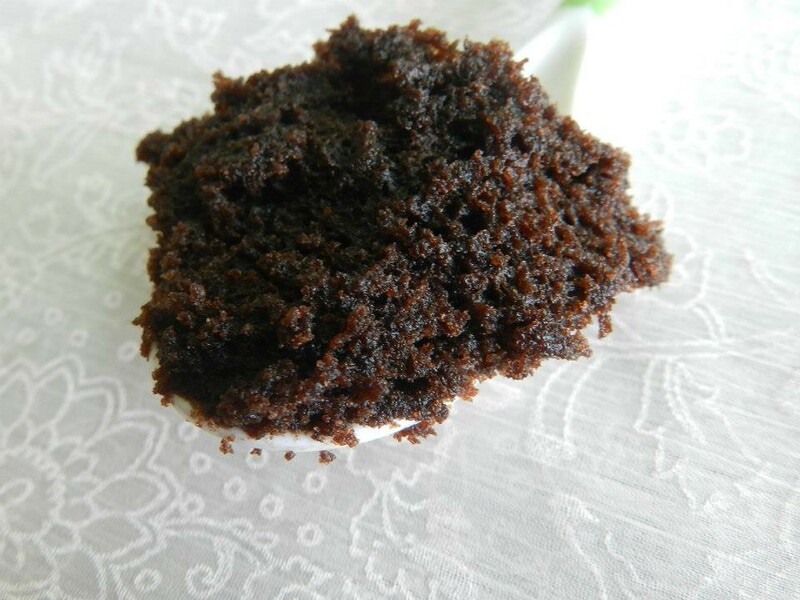 can you post one cake recipe in pressure cooker if possible? pls reply. Hi Arundhati. I haven’t tried cakes in pressure cooker so I may not be able to guide you immediately. It might require use of hot sand, etc. If you could give me some time I shall try it out and let you know. hi Prathibha, that is very kind of you. ya i think sand is used. not sure of proper procedure. so i just thought ill ask u coz u write so clearly and beautifuly and step by step. thank u so much for considering. Looks amazing Prats!! :) You may wanna try using a bit of yogurt next time. Gives amazingly soft cakes!